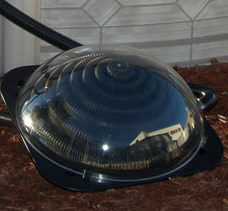 The newest thing this year for above ground pools are the neat looking little solar heaters. I bet they would be perfect about this time of year for small pools all over the place. They are a breeze to hook up and cost you nothing in electricity to heat up the pool by a few degrees. And they take up next to no yard space at all. Used with a solar cover these should be pretty effective. They are for pools up to 15,000 gallons of water and can be easily adapted to PVC pipe. Learn more about this solar heater, as well as a few others, on this page. Join in and write your own page! It's easy to do. How? 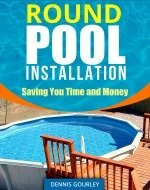 Simply click here to return to New for Above Ground Pools.